8pc Salad Set only $6.99 Shipped, Reg $39.99! 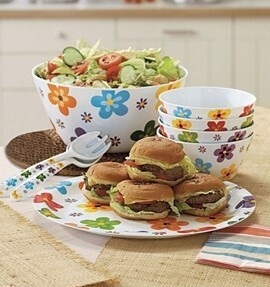 Hurry over to OneStopPlus.com to score a summery 8pc salad set for only $6.99 shipped! This set regularly costs $39.99 but is on sale for $6.99. Shipping is $5.99, but use the code WW63720 to get free shipping! NOTE: IN, MA, NY, and TX will have to pay sales tax.